Sometimes it's called a transmission flush; other times it's an automatic transmission fluid exchange. Whatever name you prefer, it's a real service with real value... one that can help add years to the life of your automatic transmission. Of course, there are a lot of folks who'll argue that point. 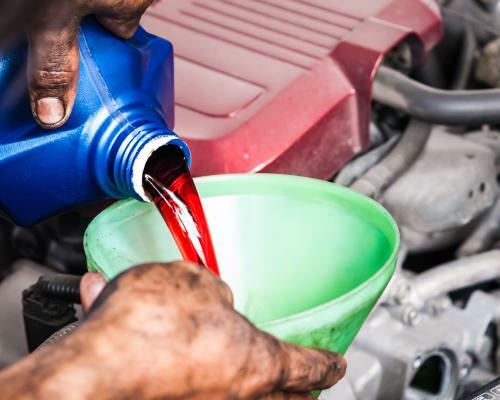 They'll swear that changing the transmission fluid — no matter how you do it — will destroy your transmission. And they have some pretty inventive arguments to support their views. The reason some people have problems after a transmission service is because they waited too long to have it serviced in the first place. They waited until they had a transmission problem, then had it serviced. But once the problem showed up, it was too late. A transmission service — whether it's a simple oil-and-filter change or a complete transmission flush or fluid exchange — is a maintenance item. You have to do it regularly, before a transmission problem rears its ugly head. Any professional transmission technician will tell you that servicing your automatic transmission regularly will add years — and miles — to your transmission's life. That's why the technicians at your nearby Cottman center are careful to check every transmission... before they agree to service it. They know that, once a problem has shown up, a service is a crapshoot: Maybe it'll buy you time, but it's a gamble. The best way to get the most miles out of your automatic transmission is to have it serviced regularly. And a transmission flush or fluid exchange service is a terrific way to replace that old, worn out fluid with new, fresh fluid. To learn more about getting your transmission serviced or to schedule an appointment, call your local Cottman center today.